WBUR believes it is critical that we invest in innovation and experimentation to identify new revenue channels to sustain public radio into the future. Given the changing landscape of journalism, media consumption, and digital advertising, there is an increasing urgency to test and measure the effectiveness of different funding models. This is why WBUR launched BizLab, a business innovation lab, in 2015 with funding from the Knight Foundation. With new funding from the Corporation for Public Broadcasting and the Knight Foundation, BizLab is now expanding its focus to identifying and testing funding models with other stations. We invite you to join us! Our motivation is the collective concern that public radio stations have not systematically explored options for increasing financial sustainability of their programming. Through a collective of multiple stations simultaneously experimenting, we can uncover new avenues for revenue generation that will benefit all of public radio, as well as establish a process for generating and evaluating ideas for new revenue. Innovations and improvements to existing operations happen every day, but the big ideas – the ones that can fundamentally change the landscape for sustainability of public radio – can’t be tested and explored within the constraints of regular business operations. We have tremendous potential to innovate and disrupt ourselves, but the realities of delivering programming and keeping the business of stations running make it difficult for any one station to dedicate the time, resources, or staff to focus on exploring new ideas for revenue. A team of 2 people from your station will spend 3 months diving deep into understanding your audience behavior and your market dynamics to identify revenue opportunities. 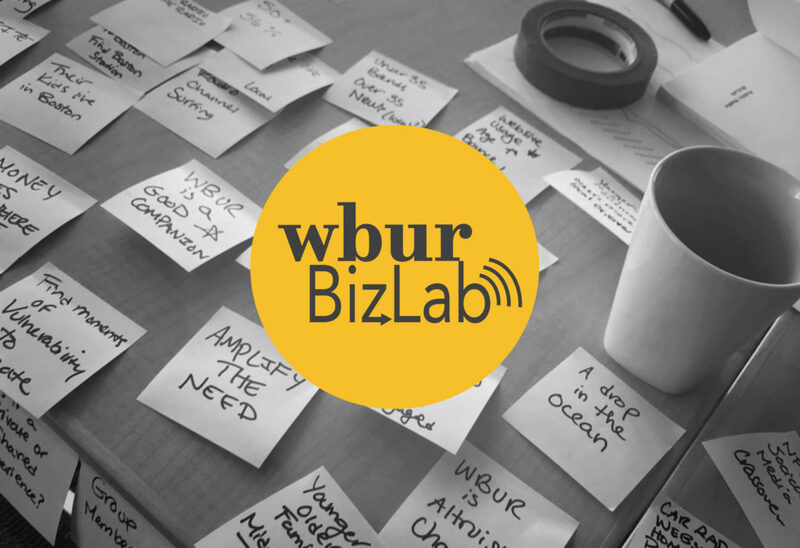 During an intensive 3-day workshop at WBUR, your team, with BizLab’s team of user-centered designers and technology innovators, will ideate, paper prototype, and prioritize. You will emerge with an action plan for an experiment. Then your team will spend 3 months experimenting with the most promising ideas by deploying surveys, prototypes, and pilots. You will get feedback on the concept from your customers, your audience, and your partners, and ideally real revenue. By measuring engagement and revenue, and pivoting at each step we learn, we will conclude each experiment with a data-driven recommendation to your station about the potential for the concept. By working with BizLab and a cohort of other public radio stations experimenting at the same time, you will benefit from the ideas, successes, failures, and learnings of the other stations. In this way, the likelihood of uncovering a big idea, and validating it in the market, is much greater. Ideas for improving your existing revenue operations are welcomed, but BizLab will be specifically encouraging your audacious ideas that can fundamentally change the landscape of public media. Not all experiments will succeed – in fact, we expect failures – but every experiment will teach us collectively. 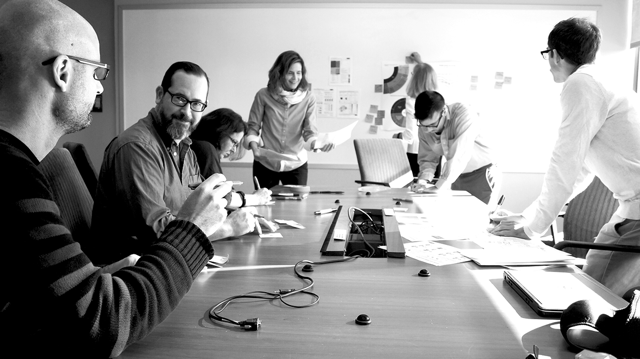 Being bold will enable us to be disruptive, and by working collectively, our risk is reduced. A designated team of at least two members who can work with BizLab for six months of 2019. Each team member should expect to dedicate 10-20% of their time each week, with variance depending on the work. The team must provide summary presentations and reports of their work completed within each project phase on deadline, concluding with a final presentation of their experiment results. These reports will be provided to WBUR and CPB. Post-project, through 2021, teams will be periodically asked to share progress and their long-term outcomes, through surveys, group discussions, and invited panel presentations at industry conferences. BizLab’s staff will be your hands-on partners in exploring and experimenting. We have expertise in running lean experiments, survey design & data collection, user experience design, digital marketing and communications, data analytics, and use of business technology. While you are the experts on your station, your listeners, and your business, we will provide as much assistance as you need in designing experiments, building prototypes of ideas, and analyzing data. Technology and software licensing costs associated with your project are covered, subject to BizLab approval. Travel to Boston for two team members is covered. For direct expenses your station takes on as part of this work, there is financial support up to $15,000. We anticipate this funding will be best used for hiring a Fellow at your station, to be embedded full-time while you are running your experiment in market. WBUR hired Fellows to run the Pop-Up Merchandise Experiment and Affiliate Marketing Bookshelf Experiment over 10 weeks during summer 2018. While this may not fully fund your expenses, we hope it will reasonability support your station’s participation in this initiative. What can you expect from this collaboration? A summary of your listeners’ background, behavior, and motivations, for the purpose of brainstorming opportunities for engaging them in new ways. Ideas for new revenue, created during your ideation workshop, prioritized against a framework for measuring business potential. The experiment results from six other public radio stations, including the details of their ideas and exactly what and how they tested the concepts. If your experiment does not yield the results you hope for, there will many other experiments to draw from. Submissions are due October 19th, 2018. Extension deadline: October 31st, 2018. BizLab will be selecting a diverse cohort of 6 stations, varying in size, geography, and resources. Station selection was announced in January 2019.